No one has had such an effect on the artistic direction of Porzellan Manufaktur Nymphenburg as Franz Anton Bustelli. 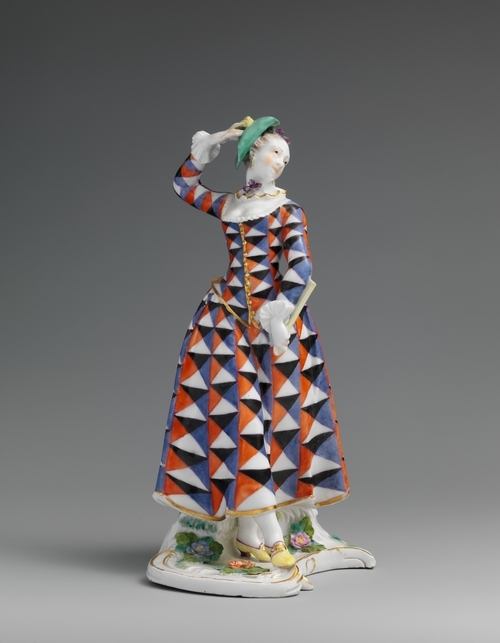 The sculptor was employed at Porzellan Manufaktur Nymphenburg on 3 November 1754 as a figure-maker – just shortly after Joseph Jakob Ringler succeeded in making porcelain. Within just a brief period, he became model master at the manufactory and helped it achieve world fame with his elaborate rococo designs. Bustelli remained with Porzellan Manufaktur Nymphenburg until his death in 1763 and, after just nine years, left around 150 new designs. His most outstanding figures and services still in production today include the CHINOISERIES, the portrait bust of Count Sigmund von Haimhausen, who was director of the manufactory at the time, as well as his CRUCIFIXION GROUP dating from 1755/56. 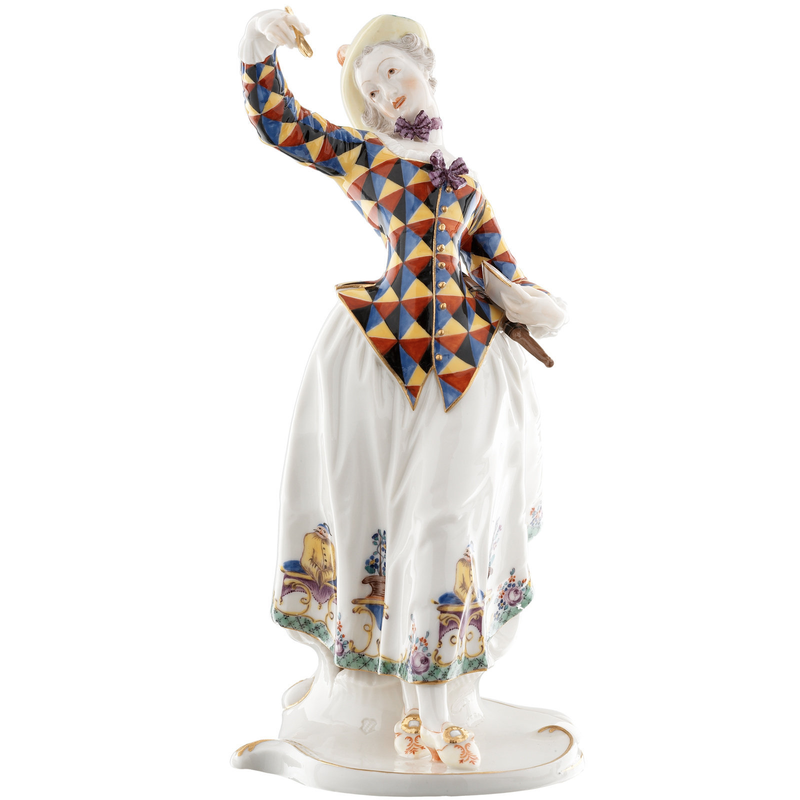 This is also the case for the most artistic of Franz Anton Bustelli's ensembles of figures – the 16 characters of the COMMEDIA DELL'ARTE, which were first mentioned in the manufactory's records in 1760 and which to this day are still produced according to his designs. As highly sought after collectors' pieces, the 16 figures will be reissued in a limited edition to celebrate the manufactory's 260th anniversary: such contemporary fashion designers as Vivienne Westwood, Christian Lacroix, Emanuel Ungaro, Naoki Takizawa and Elie Saab were invited to "dress" one of the protagonists in the COMMEDIA DELL'ARTE " in new clothes". Bustelli modeled sixteen characters from the Italian commedia dell'arte, the lively improvisatory theater that came to life in the sixteenth century. Harlequin was the commedia's principal character, always dressed in a brightly colored suit of triangular patches. Sometimes he was accompanied by Columbine, who played different roles in the plays. Here Harlequina wears the same patchwork costume as her partner. Although some of Bustelli's figures were inspired by engravings, they all have a sense of graceful movement that suggests the artist's firsthand impression of a theatrical performance.